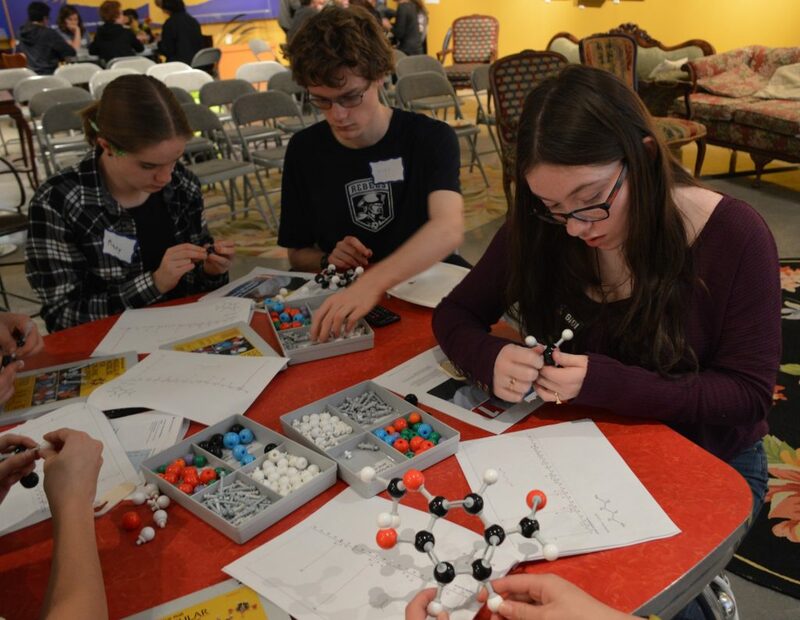 At CU Science Discovery’s first Teen Science Café of 2018, we heard from PhD candidate Megan Harries. 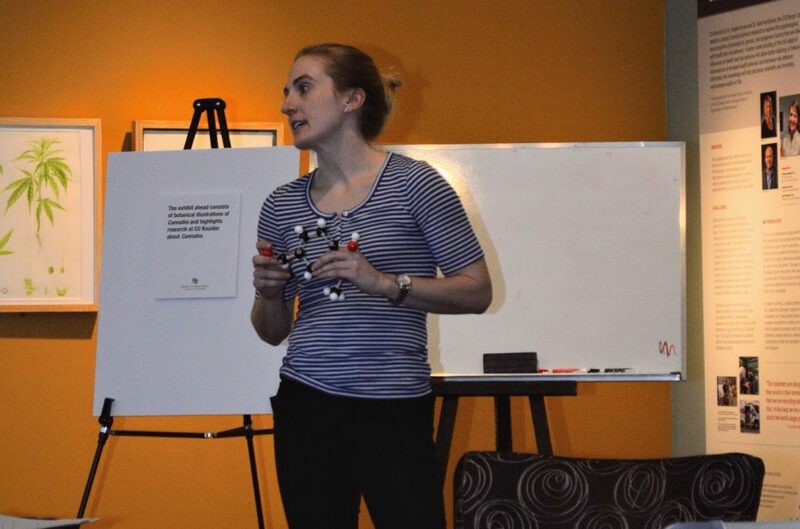 Megan Harries is a forensic and arson chemist who works at the NIST laboratories. She opened her presentation with a powerpoint presentation detailing the research she pursues, as well as the applications, both theoretical and potential, that it entails. She uses chemistry to uncover clues as to how and by whom certain crimes were committed. Her lecture was focused on one of the most useful methods employed to identify substances found on crime scenes, spectroscopy. Spectroscopy a technique that uses electromagnetic fields to filter charged particles of varying masses. In doing so, this may determine the composition and concentration of myriad chemical components. Vapor produced above chemicals used in arsons may be collected and run through a mass spec. The spectrum produced may then be compared to those chemicals stored in a database and thereby identified. Dr. Harries explained to us that while spectroscopy is a highly useful tool, it is much more complicated than one may think. The databases to which spectra must be compared are enormous and different settings (i.e. magnetic field strength, length of ion passage, etc…) must be correctly calibrated in order to make conclusions. The café then transitioned into an activity. 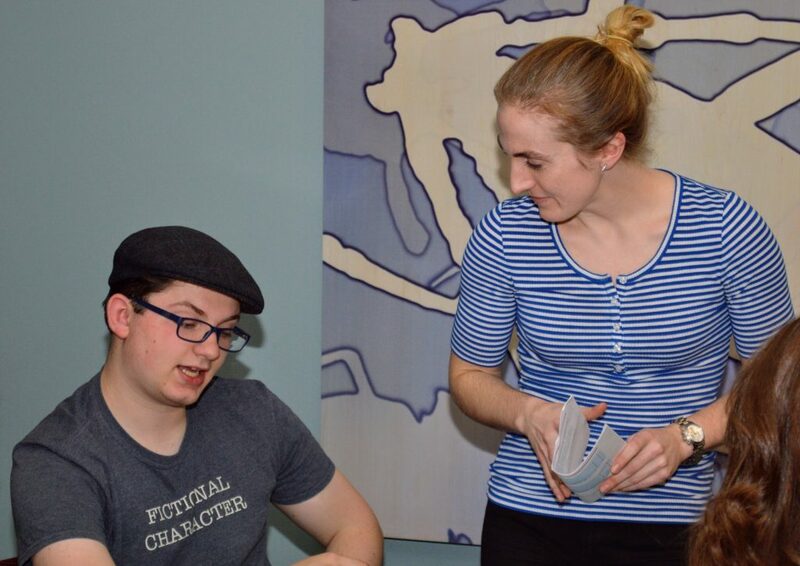 Attendees were asked to determine the culprit in a murder mystery by means of spectroscopy, as well as context clues relevant to the victim’s life. Hypotheses ranged from the victim’s estranged wife to his lab supervisor, though most every group identified the toxin used as strychnine. 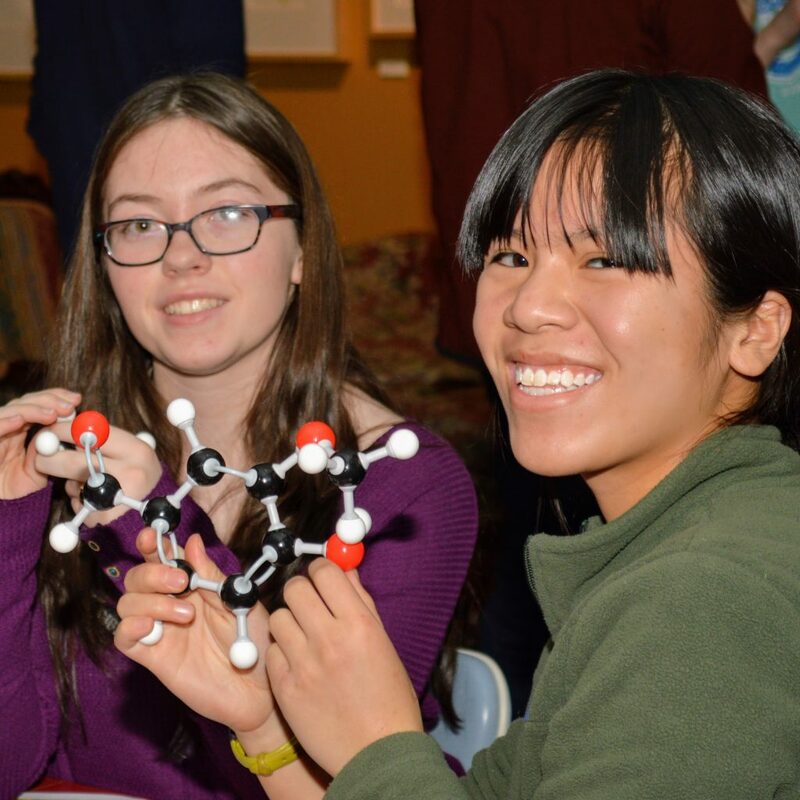 Dr. Harries also invited us to try our hand at constructing chemical models, and students succeeded in created 3D models of several chemicals, ranging from putrescine to acetylene. 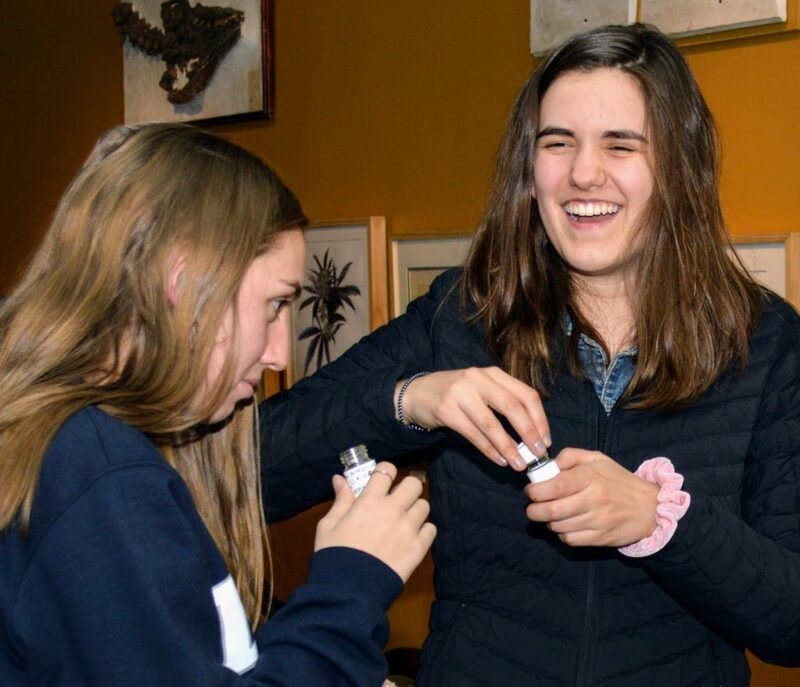 Samples of the chemicals built were also provided to allow students to compare the odors produced by each chemical respectively. Dr. Harries explained to us that, due to varying chemical structures, different substances exhibit different intermolecular forces, leading consequently to different vapor pressures. These differing vapor pressures may also be used to identify catalysts, toxins, and fuels, just another tool forensic chemists use to determine whodunnit!